Water is getting to be expensive! And, you sometimes wonder why that is? This may come as a shock, but did you know that about 45% of the world’s bottled water actually comes from municipal water supply systems? That’s probably better known as “tap water. The funny thing (or not so funny) is the price a business hosting a meeting or convention has to pay to the hotel to provide those throw away bottles of water. Food service banquet charges to supply water can now run as much as $3 to $5 dollars per bottle. To minimize expenses, it’s now becoming popular to provide water stations instead. These stations have water, sometimes flavored with fruit or lemon, for attendants to fill their glass. Plastic water refillable bottles from Worrell – a perfect way to promote branding! Worrell offers a great way for businesses to brand in connection with these water stations. We have attractive plastic bottles that you can write your name on using a sharpie. One can be given to each attending guest to keep and use for the duration of the event. This offers the business a “green” option, minimizing landfill issues normally associated with one-time use of multiple bottlers by each attendant during the convention. Great way to promote Earth Day as well! Check out this video, click here. The cost of the Worrell water bottle is minimal compared to the exorbitant cost of supplying disposal individual-sized water bottles throughout the duration of the event. If you’re faced with the ongoing challenge of finding creative ways to showcase your brand and message, give us a call. 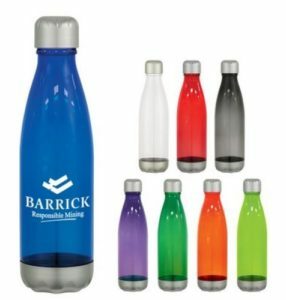 Worrell Corporation has a dedicated team of promotional product consultants with more than 30 years of industry experience can help you reach your goals.